We had a string of storms last week, a welcome relief for our drought-parched state. The heavier-than-normal rain is due to the temporary change in water temperatures in the Pacific Ocean near the equator, simply known as El Niño. While most of California welcomes the much-anticipated rain, other parts of the world are experiencing drought, above-average temperatures, and heavy flooding. I’m amazed that the increase in ocean temperatures by just a few degrees affects the entire globe. So while I celebrate this wonderful rain, I wish it didn’t come at such a cost. I drove over the hill this week to the nearby mountain town of Felton. It’s a 45 minute drive on a winding road. The drive is pretty but sometimes treacherous as you make your way through the winding Santa Cruz mountains. I’m a nervous driver to begin with, so I drove slowly in the rain and fog, hugging the right lane all the way there. When I returned about an hour later, a large tree had fallen across three of the four lanes of highway. Traffic on my return journey moved at a crawl, while the opposing traffic was at a dead stop for miles/kilometers. Amazingly no one was hurt but I had a hard time shaking off the fact that I had driven past that same tree about an hour before. By the time I exited the freeway, I’d passed the aftermath of two auto accidents, multiple emergency vehicles and the fallen tree. I was so happy to get home. El Niño conditions will persist through at least March of this year. While I celebrate the arrival of the much-needed rain, I’m also tempering my enthusiasm with a healthy dose of caution. What’s your weather up to? How will we know when the drought is over? It’s complicated. Fallen tree blocks traffic for five hours. This entry was posted in California Drought and tagged California rain, El Nino, Felton, san jose weather, seasonal storms. Bookmark the permalink. I wonder if they ever got what was happening for real at the 2015 United Nations Climate Change Conference in Paris. Did they get something needed to be done? Are dropping oil prices going to change the direction, finally? We had the same thing up here on interstate 5 blocking 3 lanes of highway for 2 or 3 days from a mudslide. Wetter than last year but our trees had no water all summer. None! Scary. I don’t like those twisty narrow roads either. Have enough with the straight roads. I’m happy you have some rain. Glad you took out the grass to make the rain come. It’s wet, wet, wet here too. Good to know you are out and driving again and the foot is healing. Oh my gosh, Marlene, that is one serious slide. I can’t imagine what it takes to clean that up, too, especially while remaining safe. I’m not sure what they accomplished in Paris, but they did seem to get consensus for the first time and that is a big step forward. Now if we could start charging all the crazy politicians a fee every time they flap their jaw and said climate change is made up, we might be able to get more people on board and moving forward. Why cloud he issues with science when myth will get you re-elected. It’s good to be out and about again, but I’ve backed off the walking for a bit, other than my five minutes on the PT treadmill. Oh my gosh, is there anything more boring than walking a treadmill? You know, I don’t miss anything about the grass. It’s fabulous to finally have it gone, and to know that my little patch of earth will be all the better for it. It took some time to get here, but hurray for arriving at last. The world can be a pretty rough place at times…Glad to see some much needed progress on climate. Our mild autumn and early winter has been put down to El Nino too, Alys. But we had strong winds for many weeks last spring as well and I had a similar experience with a fallen tree. It was quite a shock for me as I wondered what might have been if I had been a minute or two earlier… No one was hurt on this quiet country road and the people in the car and van in front of me had rung up the fire brigade. Within minutes the tree was moved enough for us to pass. I think we are all better prepared for such events here, but it still shakes you up! Drive carefully! Cathy, I remember you writing about those strong winds. Winds can cause a lot of damage, especially when they bring down a large tree. Because of the four year drought, a lot of our trees have suffered. They are either diseased or the roots are shrinking to conserve water. Neither bodes well in a bad storm. Interesting that you had a similar experience, and in your case mere minutes. Glad all was okay in your tree fall incident as well. Mmm, I can see why you shuddered at the thought of that fallen tree. Great that you had more rain but hopefully there will be no more fallen trees. I’m amazed that we haven’t had more of those here. Maybe because all the weaker ones went last winter or the one before that. I was in a pub (bar) on Saturday, where I witnessed the flood damage close-up for the first time. All things considered, it was amazing how little damage there was. The furniture seemed okay, but perhaps that was because it was old-fashioned wood rather than MDF etc?! Dah-hang hon, I dread those white knuckle drives too. That’s another reason we love our move to the city, no more highway drives thru snowstorms. Our weather’s been around 0C the past two day’s. Very pleasant and bright. I didn’t get outside because of work, but it’s nice to not have to drive a frozen car when I get off. I can change fast and often does. Last weekend, Saturday I think, it was frigid cold with a wind. What a shame to see your dollar dropping so quickly against the dollar. The markets are a mess here: the drop in oil prices have driven everything down. I’m glad you’ve had a mild winter so far. I can’t imagine all the extra work it takes when you have to get in and out of your car in the snow. Having breakfast and lunch in your condo sounds both affordable and relaxing. 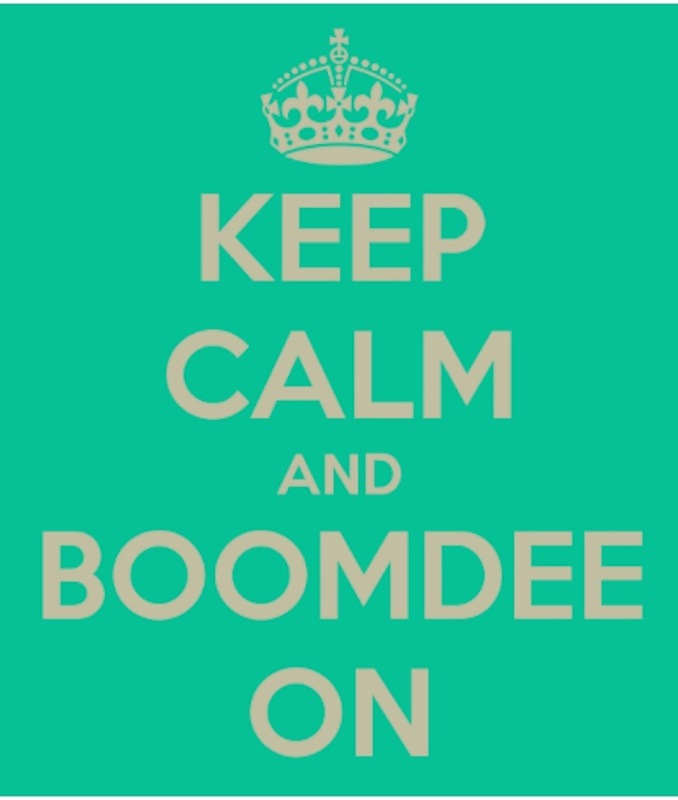 Boomdee – remind me when you go to Maui please! Alys, I love the reflection of the tree on your wet (yay!) deck! Wait … is it your deck? Anyway, I love the image. I too am sorry that the much needed rain has brought problems along with it. Thanks, Laurie. 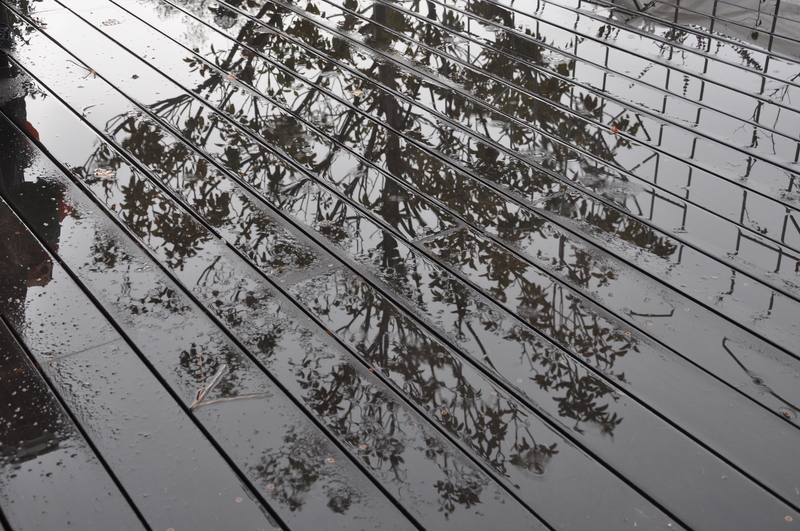 That is indeed our deck and a reflection of our Magnolia tree on a nice, wet day. Wild winds, rain and falling trees here, too. The rain is welcome, the rest is not. But, thankfully, I haven’t had to drive in it. Driving in inclement weather is downright scary. I’m glad you don’t have to drive in it too. Any relief from the rains?